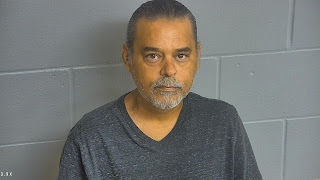 The Levy County Sheriff’s Office Criminal Investigations Division (CID) arrested Alex Hernandez (11-18-69) of Williston on September 24th for neglect of an elderly person and false imprisonment. Hernandez was the caretaker and living with a 67 year old female who suffered from the early stages of dementia and COPD. The victim often suffered “incidents,” during which she would unclothe herself and act strangely. Hernandez attempted to intervene when the victim was suffering from an “incident” and called for assistance from a friend because he was not able to control her. Hernandez had to travel to Gainesville to pick up this friend because she did not have a vehicle. Hernandez locked the victim inside a bedroom without her oxygen, no access to a phone or restroom facilities and left the residence for over an hour. Hernandez even stopped at a local convenience store in Gainesville to buy snacks and drinks on his way back to the home. When he and the friend arrived at the home they discovered the victim injured and in immediate need of medical treatment. EMS responded and observed the victim was unconscious, had lacerations on her face and arms, bruising on her legs and arms and was suffering from head trauma. The victim was treated at a local emergency hospital and her injuries were determined to be life threatening. After multiple days in ICU she did regain consciousness and was able to make a statement to law enforcement. Based upon her statement combined with her medical condition and Hernandez’s own admissions, investigators determined Hernandez allowed these injuries to occur. Hernandez is being held at the Levy County Detention Facility in lieu of a $350,000.00 bond. 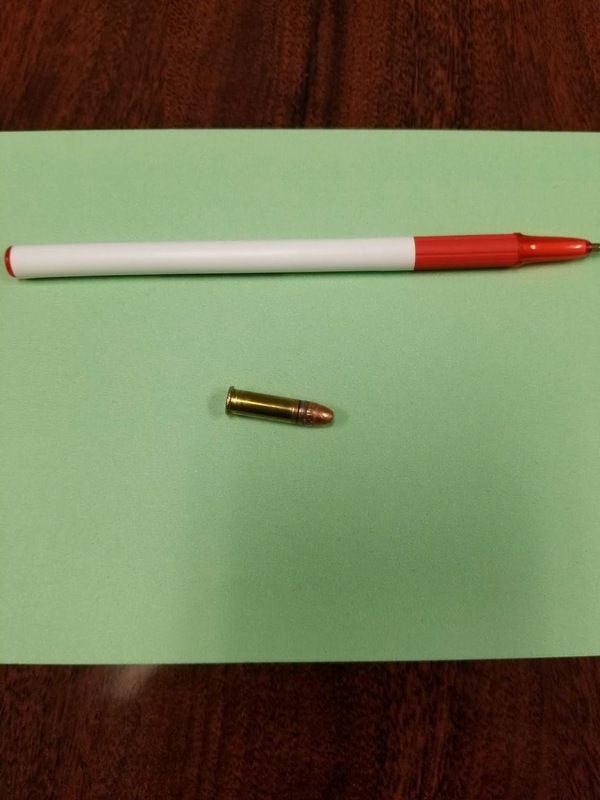 A facility member at the Bronson Middle/High School located an unfired.22 caliber bullet on the ground in the bus loop this morning. This discovery was made before any students were on campus and no threats to students have been identified. School staff members have received several phone calls from concerned parents who were contacted by their children. Students are expressing fears about a rumor there is a gun on campus. 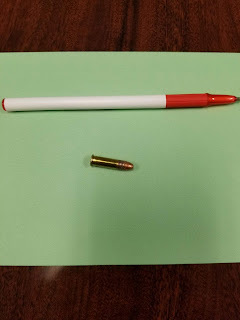 No credible information has been discovered by staff members or School Resource Deputies during their investigation and it appears the rumors were started and are being spread by the students. The Bronson Middle/High School Principal is currently addressing students in an attempt to stifle the rumor and ease their fears. The Principal and SRO deputies have no information that would warrant the school being placed in a “safe campus” or “lock down” status. 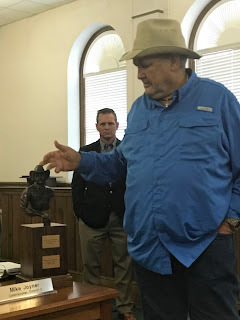 The Florida Intelligence Unit (FIU), one of the oldest established law enforcement associations in Florida, bestowed their highest honor on Commissioner Mike Joyner last night during the Levy County Board of County Commissioners meeting. The newly named “Mike Joyner Officer of the Year” award was presented by FIU President Tully Sparkman and FIU Legal Counsel Paula Sparkman and highlighted just of few of the many accomplishments Commissioner Joyner attained during his 30 plus years of service as a dedicated law enforcement officer in Florida. Commissioner Joyner is one of only a select few that are “life time” members of the FIU. Commission Joyner began his law enforcement career in Jefferson County, Florida in 1973. He is attributed with saving four lives in three separate events and was awarded for these acts of heroism. In 1986 while employed with the Citrus County Sheriff’s Office he spearheaded an undercover operation lasting over 18 months that netted 72 arrests with a 100% conviction rate. He went undercover seven times in state prisons in four different states and gained information that solved multiple cold case homicides. 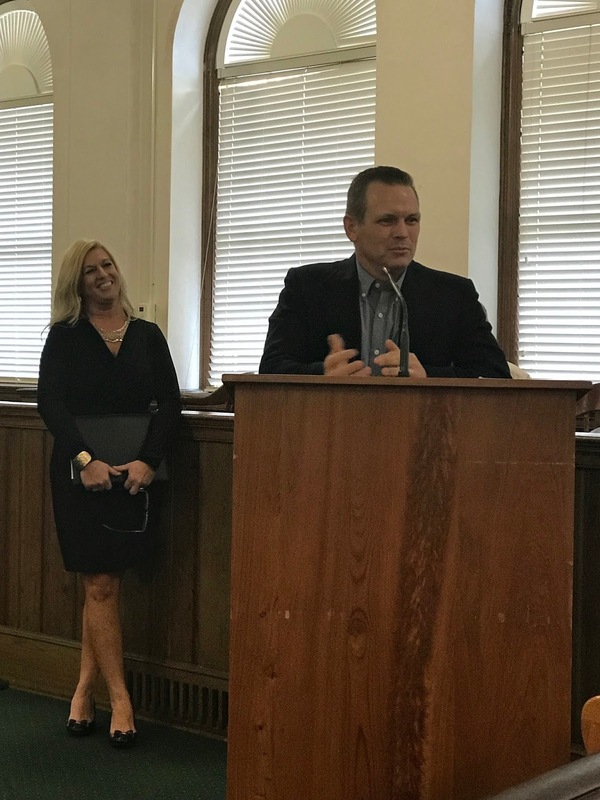 Commissioner Joyner is also credited with gaining critical information during an undercover operation that ultimately led to the arrest and conviction of serial killer Aileen Wuornos. Commissioner Joyner retired from law enforcement in 2005 after serving with the Levy County Sheriff’s Office, Jefferson County Sheriff’s Office, Citrus County Sheriff’s Office and Marion County Sheriff’s Office, but continues his service to all of these communities and law enforcement agencies that he worked for throughout these years. 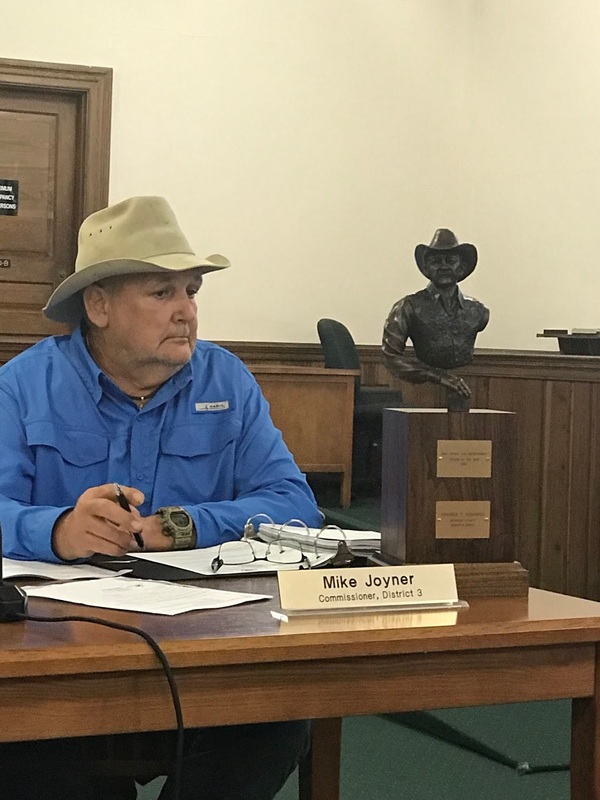 Continuing his commitment to community and deeply entrenched in Levy County, Commissioner Joyner also enjoys the time he is now able to spend with family and friends. 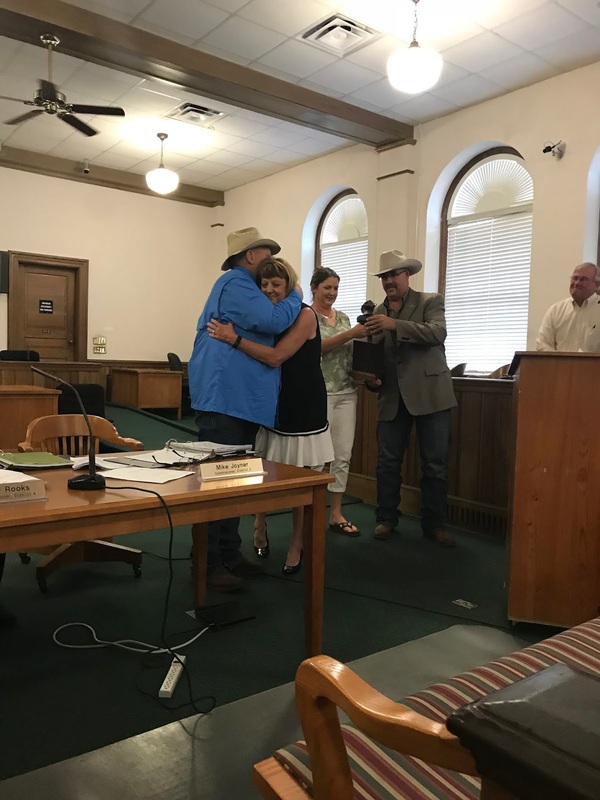 In dedication to the growth and development of the Levy County community as our commissioner, he also enjoys farming and working with his cattle. 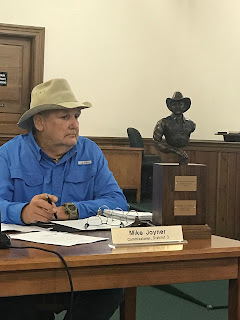 Pictured with his now forever named “Mike Joyner Officer of the Year” award, Commissioner Joyner spoke that he would have never been able to attain any of these accomplishments had it not been for the support of his wife and children. He then said they deserved the award more than he and presented the statue, made in his likeness to his wife, Diane. This morning at approximately 4:15 a.m. Levy County Detention staff discovered a female inmate deceased in her cell. 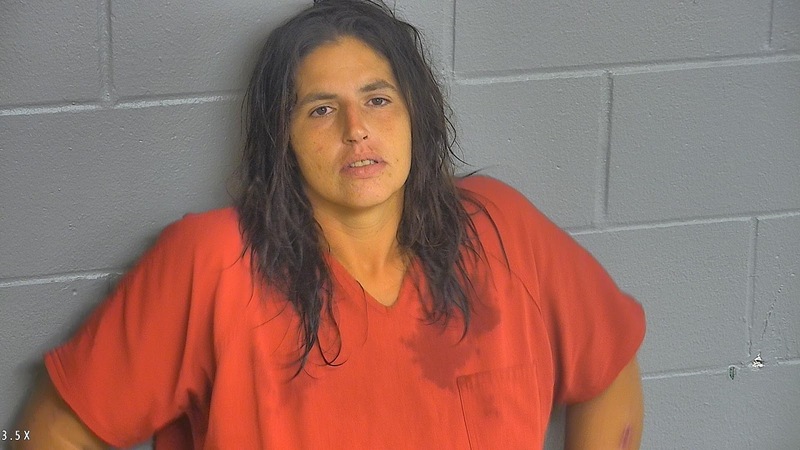 Megan R Downing (9-28-80) of Williston was in custody after her arrest on September 12, 2018 by the Williston Police Department. Downing was being housed in the medical department at the Levy County Detention Facility for unspecified medical issues. She was under constant video monitoring throughout the night. Staff did not notice any unusual occurrences. The Levy County Sheriff’s Office Criminal Investigations Division in cooperation with the 8th Circuit Medical Examiner’s Office is conducting a thorough investigation. At this time the cause of death has not been determined. No suspicious circumstances have been discovered. Mrs. Downing is survived by her husband and four children. Please keep this family in your thoughts and prayers. Stephen Baker (7-5-91) of Inglis was a wanted man until he turned into the wrong driveway. Corporal Franco Almeida responded to 18351 SE Butler Road in Inglis on September 2nd to a report of theft. 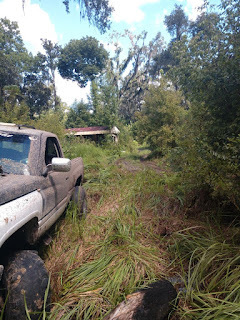 Baker drove through the main gate of the property in a jacked up Dodge truck while Corporal Almeida was on scene conducting his investigation. Corporal Almeida recognized Baker from past professional contacts and knew he did not have a valid driver’s license and had warrants for his arrest. Baker attempted to flee the property after seeing our deputy, but became stuck in the mud in a low lying area of the property. Upon exiting his vehicle he tried to run away. This is when he got to experience a tool of our trade, the Taser. Corporal Almeida ordered Baker to surrender, and when he didn’t, utilized his Taser to stop his attempt to flee. Sheriff’s Office policy states that after someone has been shot with a Taser, EMS will be summoned to evaluate the subject and remove the Taser probes. This is exactly what Corporal Almeida did. 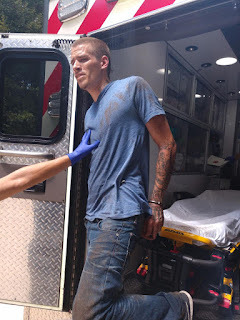 Muddy and handcuffed, Baker attempted to escape again. Running out of the back of the ambulance with his hands cuffed behind his back; he thought by fleeing into a flooded area of the property Corporal Almeida wouldn’t follow. He grossly underestimated the determination of our deputy and was quickly apprehended again. 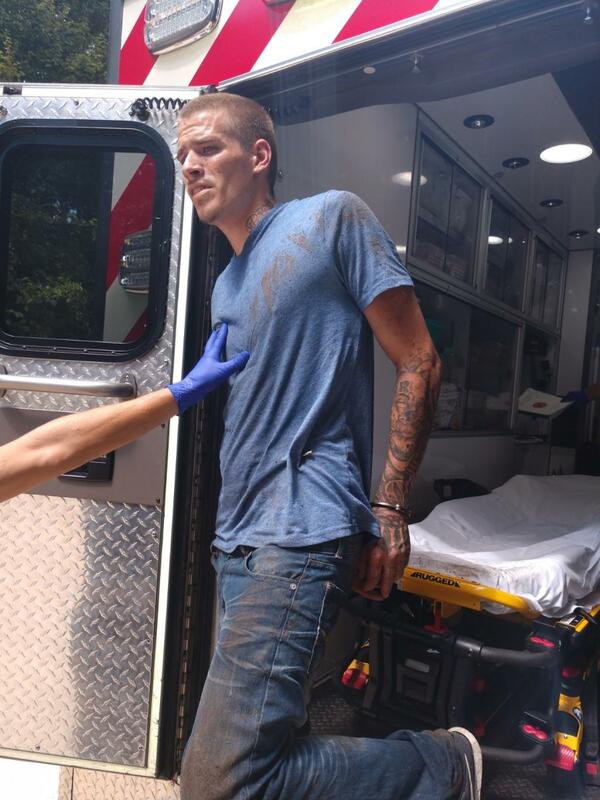 Baker went to jail tired, muddy and tased, and with a few more criminal charges. 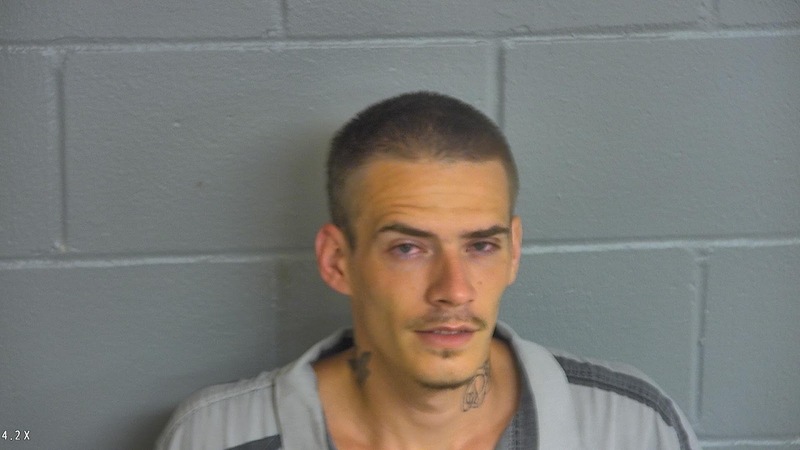 Added to the charges on his warrant (fleeing and attempting to elude LEO and DWLSR habitual) were resisting arrest without violence and escape. He is being held in the custody of the Levy County Detention Facility in lieu of a $160,000.00 bond. On August 31, 2018 members of the Levy County Sheriff’s Office Criminal Investigations Division assisted the Florida Department of Probation and Parole in a probationary search of a home located at 8031 NW 168 Lane in Fanning Springs. 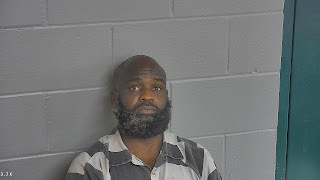 Probation and Parole requested the Sheriff’s Office assistance due to the past violent nature of the defendant, Bradsman Lamont Williams (8-6-84). Two probation officers and four investigators arrived at the home and met with Williams who was verbally combative with officers during the initial encounter. Probations officers gave Williams instructions to remain seated on his couch inside the living room area under the watch of LCSO Investigator Justin VanDuren while the residential search was conducted. Investigator VanDuren noticed Williams was acting suspicious and paying a lot of attention to a coffee table covered with a blanket near the couch. Investigator VanDuren saw lumps under the blanket and while lifting it was struck by Williams. Investigator VanDuren saw Williams attempting to bite at a plastic baggie. A fight ensued between Williams and on-scene officers during which Williams kicked over the table, scattering its contents. Williams was able to shove a package of what was suspected to be illegal drugs into his mouth before he was able to be controlled and cuffed. The blanket concealed quantities of cocaine and methamphetamine already packaged for sale. The packages of suspected drugs Williams attempted to swallow was recovered and confirmed to be cocaine. Investigators and Probation Officers escorted Williams from his home and into the front yard. Williams had been handcuffed and shackled and was seated on a chair while investigators applied for a search warrant for the home and a marked patrol unit was summoned to transport him to jail. However, Williams was not finished fighting, he sprung from the chair and attempted to get back inside of his home. He was met at the door by a probation officer and investigator. A second fight ensued and Williams was again controlled. Three officers sustained minor injuries during these altercations with Williams. 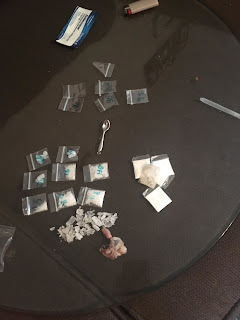 A total of 9.79 grams of methamphetamine, of which 8 baggies had been pre-packaged for sale, was seized. Five baggies of cocaine totaling 2.6 grams were also seized. Digital scales, empty baggies, spoons and measuring devices were also seized. Williams was charged with possession of cocaine with the intent to sell, possession of methamphetamine with the intent to sell, possession of drug paraphernalia, two counts of battery on a law enforcement officer, destroying/tampering with evidence and two counts of resisting arrest with violence. Williams is being held at the Levy County Detention Facility and his bond has been set at $1,775,000.00. His probation was also revoked and a “No Bond” is assigned to that violation.